A new recipe is not always needed to make something that is totally yummy and really tasty. You may be surprised that your grandparents or great grandparents often had a lot of recipes for homemade meals. People who lived on farms in the past had many interesting options like making a dandelion dressing. Do you have a yard and really dislike the look of dandelions? You can save a lot of money on the use of a weed treatment by harvesting dandelions that seem to pop up after the start of spring. 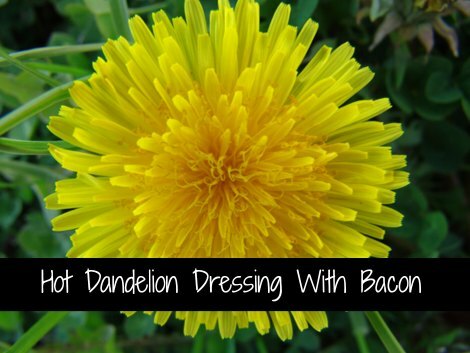 A little cleaning of your dandelions is all that is needed to use them to make a dandelion dressing. The best thing about making a dandelion dressing is you get to add bacon. Bacon is a great item for a homemade meal if you are serving potatoes. A basic process is all that is needed to prepare a meal that your past relatives may have made.